I love this carrier so much! Baby also loves this too. It is so easy to put on (I was initially worried about this aspect as I’m quite clumsy) but I managed to figure this out easily after a couple of tries. 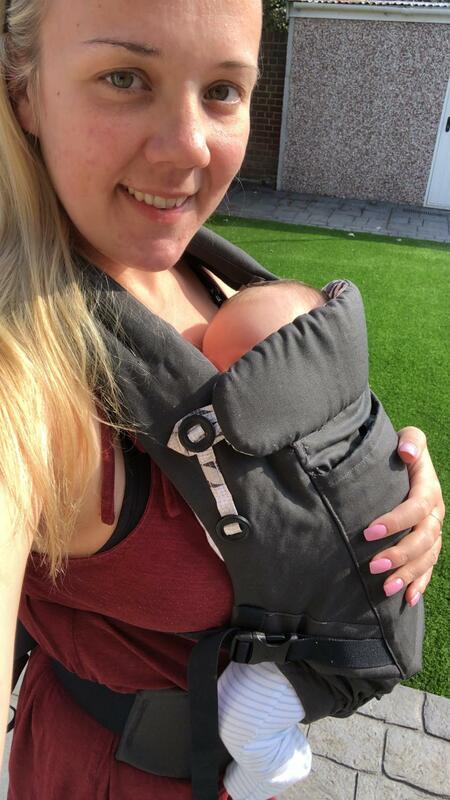 I have used this since my baby was two weeks olds and I must say that this has really exceeded my expectations as a carrier. The carrier also takes the weight off my back with the supportive band. I like the little cover at the front to cover the baby’s head when it’s sunny or windy. I also like how the baby is well supported in this, even when he wasn’t able to hold his head up. I feel as though his hips are in a good position and this carrier is also supported by the baby hip displasia charity. I like how I can breastfeed in this carrier and how the baby can be put on my back when he’s a bit older. The fabric is soft against mine and baby’s skin (and I have quite sensitive skin). Would really recommend this carrier. 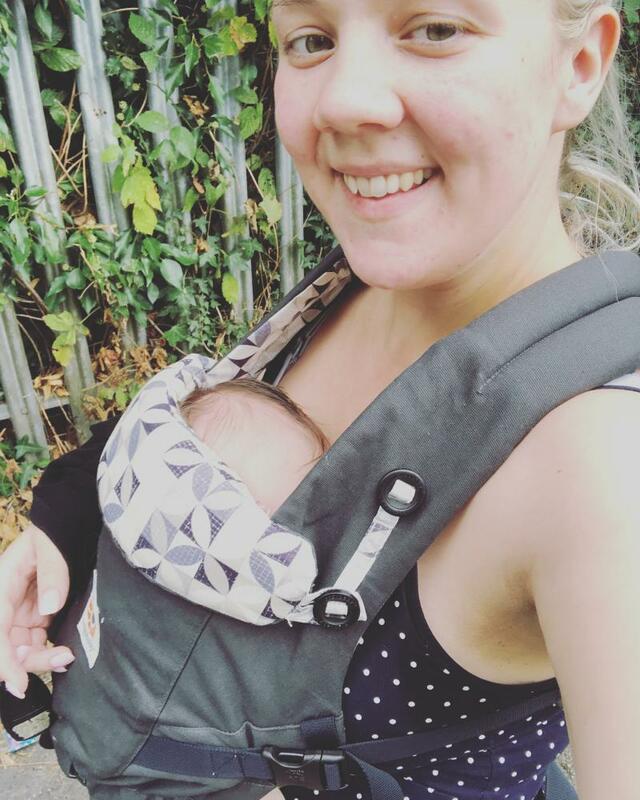 I love this carrier, I used with my daughter since she was a baby until she was 3yo, she loved to be carried around on it and when she grow older we would carry her in the back around, she would even sleep on it. 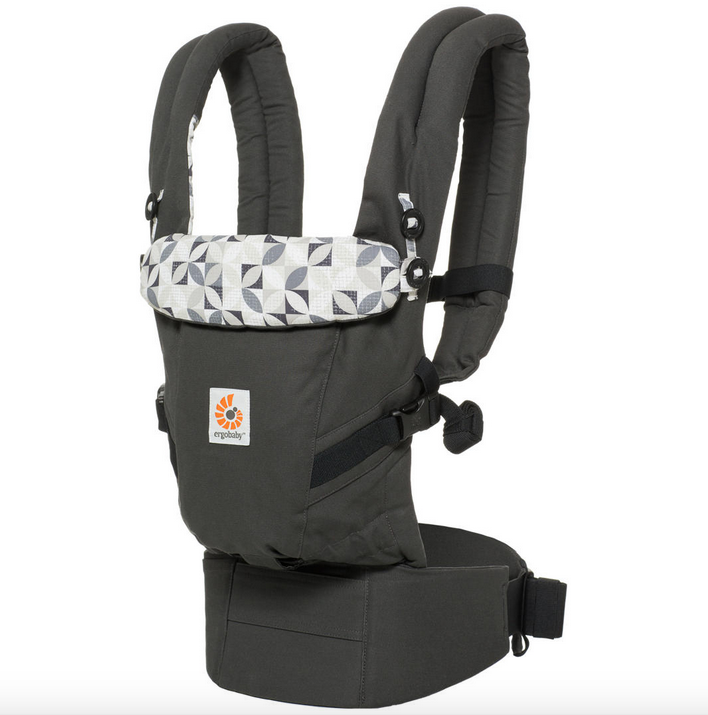 I am expecting another baby I am sure I will be buying another ergo baby carrier, but this time I want to try the 360 one. My little boy goes through periods where he will not be put down so this carrier has been an absolute life saver! 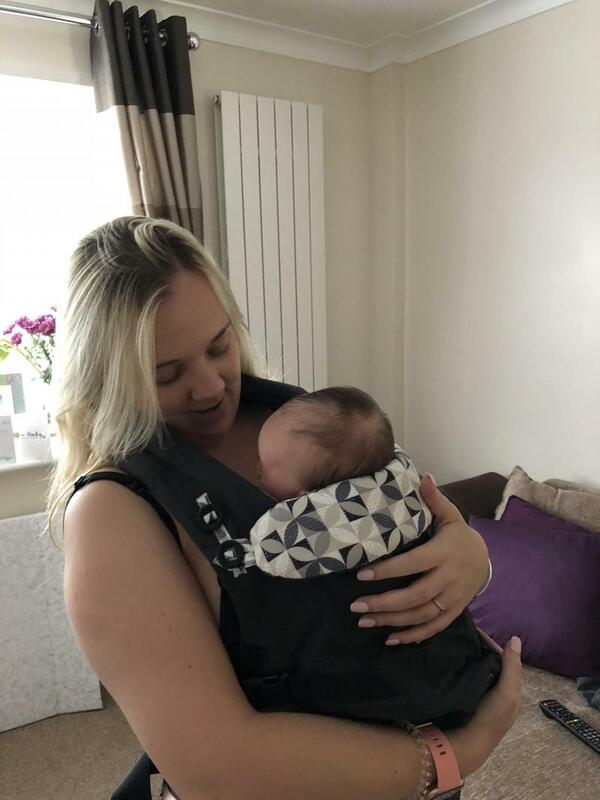 I previously used a wrap which i found difficult to put on, on my own however I have found the ergobaby to be extremely easy to put on by myself! My little boy is comfortable when in it, I don't feel any discomfort at all and it is also comfy for me. It can get warm if wearing for a while however but not a huge issue as we just have breaks whilst using it to give us some breathing space. 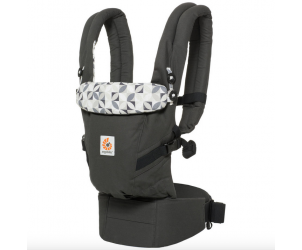 The adjustable, newborn-ready Ergobaby Adapt baby carrier is all you need carry your baby safely and comfortably, enabling closeness with your baby but leaving your hands free to multi-task.